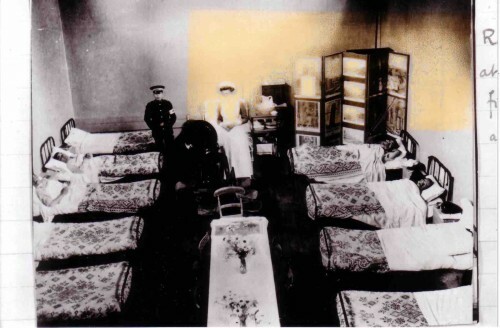 During the Great War, a hospital was opened at the High House and also one in the Iron Room, next to the Rectory. Little is known about what happened at the hospitals, but the Red Cross has recorded the names of all the people who served as volunteers at the hospital. A searchable database was available on the Red Cross site and this was used to find out more about the peiople who served in our village. Currently this part of the Red Cross website is currently down for maintenance and so the links below are not working. We hope the Red Crioss site will soon be back to normal.